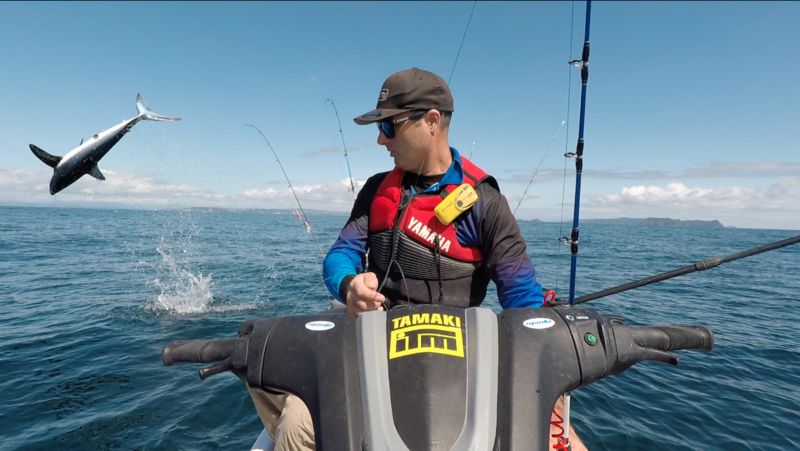 Water Safety New Zealand is pleased to support Kirk Davis and the Jetski Fishing Show to promote water safety. Whether you’re enjoying a cruise on your Jetski, or are fishing or diving, Kirk is an inspirational water safety advocate who we can all learn from. 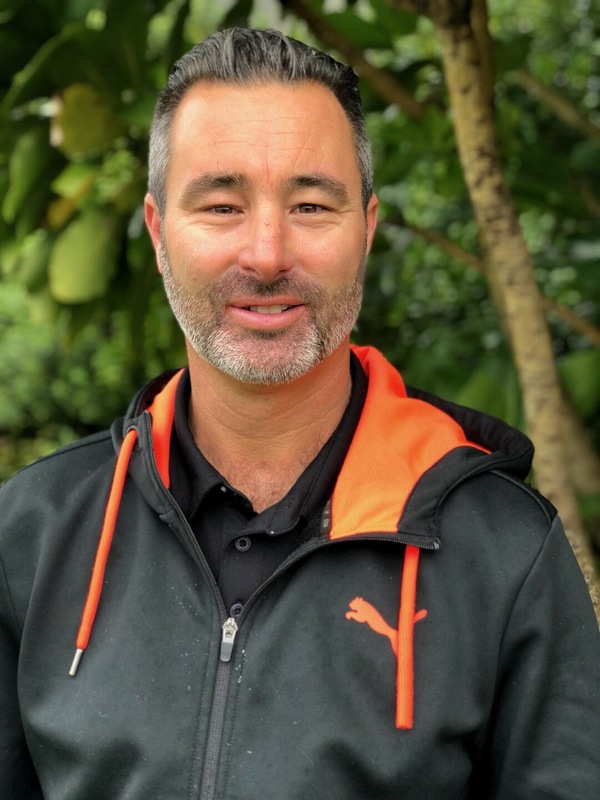 The Jetski Fishing Show has 1.5 million views on YouTube and is currently being filmed as a Television show to be shown on Prime TV in the second half of 2019. Each episode shows Kirk travelling to different locations across both the North and South Islands and catching fish from his Jetski. Water safety will be prominent throughout the series. While Jetskiing presents a lower risk than swimming, of drowning or injury, It’s the combination of speed, fishing or diving from the jet ski and growing numbers of craft on the water that can pose problems. Jetskiers must abide by the Boating Code and adopt water safety behaviour to ensure they can enjoy a hassle-free ride on the water and safety for people around them. We chatted to Kirk about his passion for fishing and the ways in which he ensures he stays safe whilst out on the water. Where does your passion for fishing come from? I have always been fishing since a very young age. I spent my summers growing up at Martins Bay, north of Auckland, and love being in or around the water at any chance I get. Good question! Anyone with kids knows that getting kids to want to do anything for any period of time when they are young is a challenge. I had a boat that I wanted to go fishing on, and take them fishing on, but often they would get bored after a very short period of time. The problem with this on a boat is it takes a long time to get the boat ready and then launch it, and then when you get back it also takes a long time to clean it all up. I decided to get a Jetski to try and get them excited about the water, and so I could take them on short little fishing trips with ease - a Jetski can be launched very quickly and easily with one person, and then retrieved and cleaned in just a matter of minutes when you are done. My son who is now 11 loves coming on trips with me on the ski, and we often fish together. Add to this the excitement and new challenge of fishing from a ski, and I have the perfect vehicle for fishing! What are some of your top safety tips for others heading out on a Jetski? The standard tips are the same for any boat - make sure you tell someone where you are going and carry two or three forms of communication. However, on a ski, you also need to think a little beyond that. There is always the risk that you may become separated from your ski (certainly more risk than in a boat anyway), so you must have your safety equipment and vital communication equipment attached to you. There is no point having all the best communication equipment stored safely in the ski if you can’t reach it! What’s in your essential packing list for whenever you head out? There are a few things I always take, regardless of whether I am going for five minutes or five hours. The life vest is the main one. It goes without saying that everyone should always wear a life vest (PFD) on a ski, or in fact any smaller vessel. Attached to my life vest are my VHF radio, and a PLB (Emergency locator beacon). All of these things are as valuable to me as having someone driving alongside me on another vessel as it means I can contact anyone in an emergency whether I am on the ski or in the water. Other things to take are sunscreen and long-sleeved clothing to keep the sun off, as well as my phone in a dry compartment on the ski, and of course my fishing gear! How do you assess whether the conditions are safe for going out on the water? There are a number of resources available to everyone to check before going out on the water, and if going a long way or for a long time it is important to check more than one source. The Metservice provide a very basic and broad forecast for an area, but because it covers such a wide area it is not always accurate for where I may be. I also use online tools such as metvuw.com, swellmap.com and windy.com to research the weather. If I am planning a big trip, I will be checking all of those sources many days in advance, and the more consistent the forecast is across the different sites and the different days, the more confident I am in the forecast. Have you ever had a situation where you got into trouble? If so, how did you resolve it? Fortunately, no not yet. However, everyone who spends a lot of time on the water will tell you that eventually something can happen and it is a matter of being prepared for it. The more comfortable you become in an environment, the more complacent you can become, and that is where you will get caught out. I try and always think through the possibilities of any scenario that could face me, and ensure I have the right equipment to get me through. You can follow Kirk on Facebook by searching Jetfish TV, and on instagram @Jetfish.tv. Original generation time 1.4280 seconds. Cache Loaded in: 0.0007 seconds.